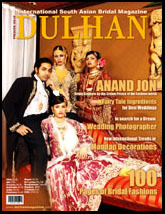 An upcoming South Asian Bridal Magazine, that will provide tips on Bridal Fashions, Jewelry, Make-up and much more. It will also offer how-to ideas on hiring various services, discuss new trends in the desi wedding industry, and will include a comprehensive vendor directory. A launch Party will be announced soon. 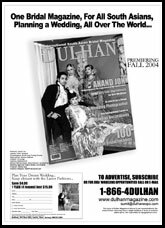 All brides attending the expos will receive a free copy.